I remember a few years ago I was working for a bank as a teller. Our hours were Monday-Thursday 9-5pm, Fridays 9-6pm, and Saturday 9-2pm. This particular bank had a rule that although we had a set close time we would keep the doors unlocked for an additional 10 minutes for any people who may have just gotten off of work and were rushing to get to the bank to catch it before it closed. At my branch, my manager would take it a step further at wait 15 minutes before locking the door. At that point in my life I considered this to be the most inconvenient thing EVER!!! Although I loved the job, when it was time to go, I was ready to go. I knew it was a nice gesture but at that time I did not care but of course never voiced this with my manager or co-workers. I just followed suit. When the last-minute customers would come in I still provided them service with a smile and made sure their experience was pleasant. The customers were always so grateful. I just didn’t get it but I also didn’t realize how much that little experience would affect me later in life. Throughout my life so far I have managed to work for some pretty prestigious companies. I was able to interact with some of the top people in these organizations and mingle with the people with power in the companies. And although it was great to rub elbows with the “big wigs”, one thing I noticed, and still noticing today, is that these people very often forget to be human. Let me share a story with you. There was a young woman who was a very diligent worker. Never missed a day and out of the 7 months of being employed with the company she may have had an accumulative of 8 mins total of tardies. This employee received high praises from her peers and direct supervisors and also went the extra mile at work. Well one day she came into work and received an emergency phone call about a family member and had to leave. Well her supervisor explained that if she left it would badly affect her attendance and will be on her record for a year. The young woman, having no choice, made what I feel to be the best decision and left to tend to her family member. Upon returning to work she submitted documented proof of the illness of the family member in hopes of having this occurrence excused. Her direct supervisors were in agreeance but stated that she needed to meet with top management to be considered for the excuse. Well on the day that she met with management and provided documented proof and explained the entire situation, the management expressed inauthentic empathy and stated that the occurrence would still stand. The young woman begged and pleaded and explained that she was the only person this family member had and she had no choice but all management could think about were the guidelines and the rules. The manager also appeared to be very cold and out of touch with reality. The young woman left the meeting that day feeling like she didn’t really matter to the company and lost all enthusiasm to work there because she just felt like an employee ID number. All of the hard work that she put forth to make a difference no longer mattered anymore. Here you have a phenomenal worker who just treated as if she was nothing to the company. And then you have the manager who may have one day been in the woman’s shoes where she needed someone in power to be understanding but these people get into the positions of power and forget that it is ok to just be HUMAN. Show some compassion. Everybody does not have to be an example. I related this incident to working at the bank because by leaving the doors open just a few more minutes we were showing that we weren’t just the bank that kept their money but we were compassionate human beings who actually cared about our customers. I am learning to notate these moments in life as I go through my day-to-day journey. I never want to forget to be realistic. I will also keep these experiences close to my heart when I am placed in positions of leadership or power as I never want anyone that I am working with to ever feel like they are just a number or a dollar sign. The simplest gestures can completely change someone’s life. Guidelines and rules are put into place for a reason but every so often you have to put yourself in another person’s shoes. When you reach a certain level in life you must never forget your journey to get there and use every experience as a lesson. Sometimes it’s ok to just be HUMAN!!!! 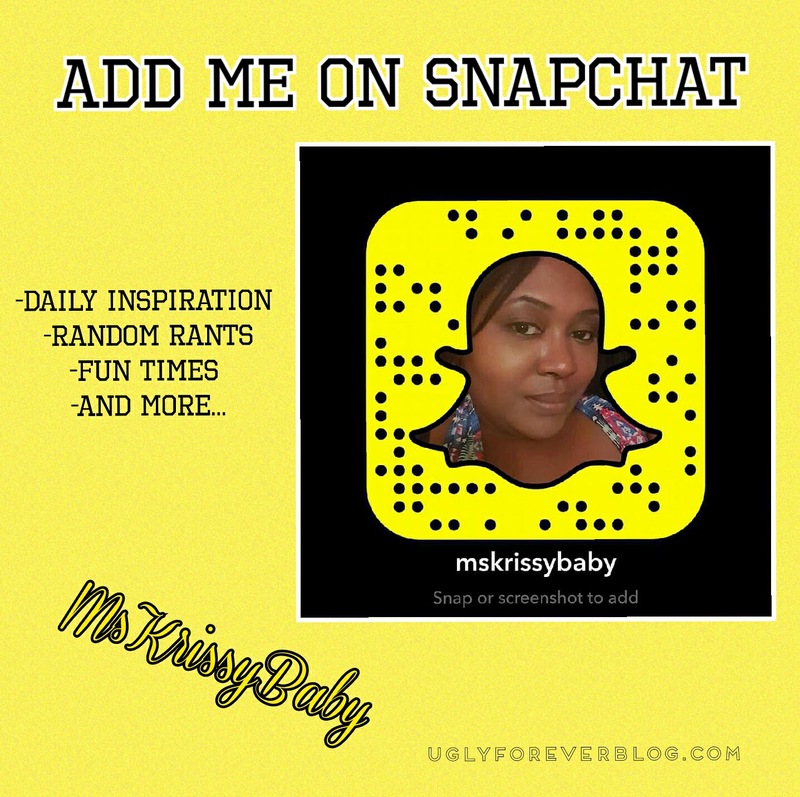 Posted in Inside the Mind of Krissy G, Motivational Mondays.Tagged Be a Blessing to Others, Be Human, Follow Your Dreams, Krissy G, Love Others, Love Yourself, Manifestation, Motivational, Motivational Monday, Self Love, UGLYForever. I know the story of the young woman I went through an incident like that. I was this young woman on many occasions myself….in work, school and life situations. There will definitely be a part 2 to this. Thanks for reading!!!! Thanks!!! I will see if I can fit it in soon!!! Great illustrations!!! Thank you for sharing your journey’s wisdom nuggets! Thanks for reading!! I’m glad you liked it!! !